A walk in the park sets off a mission to awaken humanity and save Earth, as Cromwell’s (If I Gave You God’s Phone Number, 2002) work weaves an argument for living in awareness of all life. When her boyfriend announces a troubling decision that disrupts her world, Sarah turns to nature for comfort, only to discover that nature wants help in return. The rustically dressed woman who greets Sarah in the forest turns out to be Earth Mother, whose gentle, compassionate embrace melts Sarah’s pain and convinces her of the woman’s identity. Earth Mother has something to say to humanity (13 things, in fact) and invites Sarah to be the conduit. In the weekly conversations that follow, Earth Mother imparts observations, pleas and guidelines for living in greater harmony with her and with other people. Her messages cover familiar territory (respect the earth; plant trees) and some terrain that’s not typically associated with her—violence, conflict, competition, gratitude, etc. She’s not crazy about social media or the belittling of women, and she follows guidance for males with a pep talk for females. Earth Mother’s vision of the future is an innovative twist on Utopia, with renewable energy, biodegradable objects, telepathic communication and therapeutic criminal justice. The components might veer toward the simplistic—share food; sing; conserve “things that you’ve broken [Earth Mother’s] soil or skin to get”; leave her offerings of organically grown tobacco—but the cumulative effect isn’t trite. A self-styled “plant intuitive, sacred gardener and worm wrangler,” the author imbues her characters’ conversations with a convincing earnestness and ambition. Despite the instructional nature of the messages, Cromwell cloaks Earth Mother in lightheartedness and gives her an endearing predilection for corny jokes as well as messages of hope and love. A humorous, good-natured blueprint for saving the planet. Messages from Mother…. Earth Mother is a beautiful, magic school bus for grown ups. I had such an interesting experience as I was reading. It suddenly came upon me with a deep understanding. The voice I was reading in the book was literally the voice of Pacha Mama. This is hard to articulate but it became very clear to me. Very, very clear. I LOVE this book! —Iva Peele, Co-Director of The Road to Q’ero – A Journey Home. Mare Cromwell has penned a brilliant and beautiful spiritual guide to loving the Earth in a way that heals. Mother Earth is smiling today for she knows that there are people like her in the world speaking for her. I am touched, blessed and forever changed having read this book. Mare Cromwell is one of our Great Listeners … a “Future Primitive”, as celebrated and beloved Deep-Ecologist, Dolores LaChapelle described us worker-bees for the Good of this Planet. Our job, and one that Mare does beautifully, is to carry the Ancient, necessary wisdom into our Present, so we can have a Future! When we “two-leggeds” remember how to Listen to Pachamama’s many voices: to the trees, the rivers, the animals, the stones, we will again hear – and clearly- the Voices that carry the Stories of our place and we will know how to be in Relationship with Her and her Beings. This is how we can Re-Story ourselves and our places here, on this Beloved Earth. Mare has created such a Re-Storying : now it is time to Listen to her. Mare Cromwell’s lively instructions and humorous style will motivate many to listen to these messages. Drawing from Native American wisdom, environmental science, and the most sensible “New Age” spiritual writings, her book offers enchantment and ageless wisdom packaged in novel and entertaining ways. If anyone can hear what the earth is saying, it is Mare Cromwell. Her book promises to be a rich and consciousness-raising read. “Messages from Mother…. 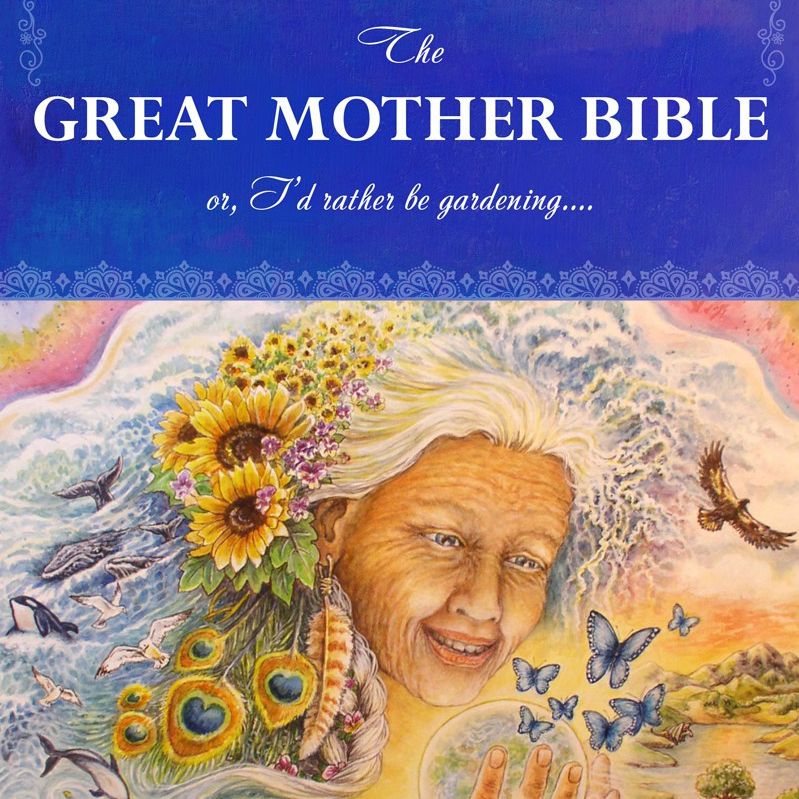 Earth Mother” by Mare Cromwell is a unique blend of prophecy, hope and inspiration meant to enlighten its readers to rediscover their relationship with Nature, a.k.a. Earth Mother. The reader, whether a convert to environmentalism or not, will walk away with the clear understanding that the path forward is not about the focus on our global environmental loss, but instilling a love for Nature in all who call this home. Thank you Mare for reinforcing this message within all of us, and reminding everyone to listen to the messages from our Mother! In a charming dialogue between Mother Earth and a young woman named Sarah, Mare Cromwell gently points out many of the ecological and spiritual crises facing our planet today. Messages From Mother will instill an awareness of just how deep these wounds are, and leave you wanting to take steps to begin the healing process, not only for the sake of the planet, but for your own soul as well. Mare Cromwell describes a reality very different than that of industrialized civilization and our day-to-day lives in these messages. The important insights and principles shared in her book can help us think in new ways about how to achieve sustainability in these challenging times. – James E. Crowfoot, Ph.D., Professor and Dean Emeritus, University of Michigan and former President of Antioch College.